Dar es Salaam. The increase of prices among cross-listed companies has increased the Dar es Salaam Stock Exchange DSE market capitalization by sh400 billion in a day. This enabled the market capitalization to close at sh19.8trillion on Friday last week from sh19.4 trillion recorded during the previous day. Companies, which saw an increase of share prices, were East Africa Breweries (EABL) by 8.81 per cent to sh4200 on Friday from sh3860 recorded on Thursday and Uchumi Supermarkets gained by one third to sh20 on Fridays close from sh15 recorded on Thursday. Jubilee Holdings (JHL) share price increase by 0.51 per cent sh9850 from sh9800 while NMG share price increased by 4.62 per cent to sh1360 from sh1300. Acacia mining also recorded a 2.8 per cent gain of share to sh5500 from sh5350. This is seen as the market recovery, as it lost by about sh4 trillion over the last 12month ending mid-January this year. Meanwhile, the Dar es Salaam Stock Exchange (DSE) weekly turnover decreased by 67 per cent last week to sh3.42 billion compared to sh10.27 billion recorded a week before. Zan securities weekly wrap-ups and DSE reports have shown that Tanzania Breweries Ltd (TBL) continues to be the top market mover with weekly turnover of sh2.98 billion, dominating the market share by 87 per cent. It was followed by CRDB bank plc and Vodacom at 8 percent and 4 percent, respectively. Other active counters were NMB Bank plc, DSE plc, Swiss port Tanzania PLC (Swiss), Tanga Cement Company TCCL and Tanzania Portland Cement Company (TPCC) and Maendeleo Bank Plc (MBP). Price movement was recorded in three counters. 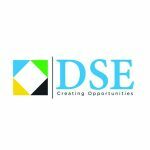 DSE plc share price appreciated by 10 per cent to close at sh 1320 while CRDB depreciated by 3.57 Per cent to close at sh135 and TBL lost 1.59 per cent of its value to close at sh12,400. On a weekly comparison, key benchmark indices closed as follows, the Tanzania share index (TSI) decreased by 0.72 per cent, closing at 3615.04 points while the All share index (DSEI) closed at 2054.45 points, up by 2.21 per cent compared to last week.